SJA | No Chic. Just Geek. Other than Doctor Who and its spin-offs, I haven’t seriously watched a contemporary fantasy or SF TV series in six or seven years – not past the first handful of episodes, anyway – and yet I find myself grimly sticking with Agents of SHIELD, quite possibly simply out of sheer stubbornness: SHIELD is not especially funny, thrilling, interesting or original, and tonally it’s completely all over the place… but I didn’t come here to talk about that. Anyway, I was watching the most recent episode when I was startled by a commercial for the latest US fantasy import to be scheduled by the same British network: a bright and edgy new American series called The Tomorrow People! I nearly fell off my chair laughing, for I have spent the last six months, on and off, watching the complete run of The Tomorrow People on DVD: not the shiny new US series, nor the really-not-too bad 90s incarnation of the show, but the frequently mind-boggling original version, which ran on commercial TV in the UK between 1973 and 1979. If that gives you the idea that The Tomorrow People has one of those irresistibly good formats that fantasy TV occasionally throws up, I would say you were right. 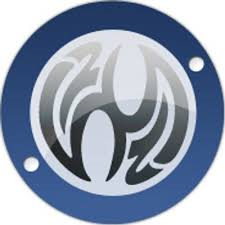 The basic premise of every iteration of the show is the same: a new species of human being is starting to appear on Earth, variously referred to as homo superior, homo novus, or simply the Tomorrow People. The new breed has only been around for a very few years which is why none of them are older than their teens or early twenties. Their enhanced development gives them various psychic powers: telepathy, telekinesis, and teleportation is the standard suite of abilities, though healing and psychometry also occasional pop up when the plot demands it, as does the power to cause normal people to hallucinate. The downside is that their psychological makeup means they are incapable of acting violently (one is tempted to add that some of the performers involved, and not just the children, occasionally seem incapable of acting at all). It’s not a million miles away from the premise of The X-Men – even some of the terminology is the same – but most of the plots of the actual stories are essentially the stuff of low-rent Doctor Who: deviously malevolent aliens or hostile time travellers visit Earth in the 1970s and are usually seen off by the Tomorrow People by the end of the concluding episode. The resemblance to Doctor Who is, in some ways, quite striking, and not coincidental: the ITV networks produced a number of shows in an attempt to challenge the legendary BBC show, of which The Tomorrow People was one of the longest-running and most popular (there is even a snarky swipe at Doctor Who in one early episode). On the other hand, one of the nice things about watching The Tomorrow People is that you do come away with your faith in the quality of mid-70s Doctor Who reaffirmed: if you thought some Who stories from this time looked cheap and nasty, boy, you ain’t seen nothing yet. The Tomorrow People routinely wheels on jaw-droppingly shoddy robots and aliens throughout its run, but does so with a conviction which simultaneously manages to be both brazen and rather sweet. The tone of the thing is also, generally speaking, very light – no gothic horror going on here, just frothy SF. Which is not to say that the series is utterly disposable. For one thing, it takes the building of its internal mythology very seriously, and for the most part the continuity is impressively coherent (one thing you can’t really say about Doctor Who). This is probably a result of the series being almost wholly written by one man, Roger Price. Price’s rather 60s-informed vision is of a world where, hey, children are the future, peace reigns amongst the stars courtesy of a benign and protective Galactic Federation (the Tomorrow People are affiliated with it), and a better destiny awaits the human race. The series falls naturally into two halves – the first three seasons, which are longer and feature Peter Vaughan-Clarke’s Stephen as the lead juvenile Tomorrow Person, and the shorter latter five seasons, which focus much more on Mike Holoway as, well, Mike. There’s a huge turnover of cast members throughout the run of the show – nine Tomorrow People across eight seasons – but on the other hand this is pretty much a distinguishing feature of a British telefantasy show. The only constant throughout is lead Tomorrow Person John, played by Nicholas Young, these days best known for… erm, well, still this, actually. Young is one of the series’ greatest assets and really should qualify as some sort of minor icon in British telefantasy: no matter how ropey the script or miniscule the budget, Young is there as John, playing the whole thing with total conviction and upper-middle-class steel. Anyway. The early seasons are better (though season one is honestly pretty wretched) – fan consensus seems to be that season two’s The Blue and the Green is the highlight of the entire run, but I would politely demur: my favourite story is Secret Weapon from season three, in which a newly-emerging Tomorrow Person finds himself of interest to an agency within the British military intent on exploiting his powers as an intelligence asset. The down-to-earth-ness of the premise really gives the story some traction, and the fact that it doesn’t involve terrible alien suits or too many special effects is a definite plus as well. There was a chance it could all have ended with season three, but the show returned in a somewhat reduced form – fewer episodes and shorter stories. Not that all of these are bad, of course, although the character of Japanese Tomorrow Person Hsui Tai (played by Misako Koba) is arguably a misstep: delivering her dialogue, she sounds like she’s attacking the English language with an axe, and it’s not really surprising she’s kept in a subordinate role for most of her time on the series. By the end of season seven, the series looks pretty tired, concluding with a quintessentially Tomorrow People-ish alien invasion yarn in the shape of The Living Skins. A craze for quite hideous-looking plastic jumpsuits is spreading amongst Earth’s teenagers, and inevitably Mike and Hsui Tai fall victim to it too. This is bad news because the plastic jumpsuits are actually polymerous alien parasites intent on conquering the Earth (shades of the Nestenes). Well, it sounds a bit of a so-so idea, but what lifts the story into a realm of lunatic grandeur is that the director really gives it 100%. This is a story where the alien high command is represented by a pile of wobbling balloons – honestly, it really is – and the collection of further alien invaders is depicted via yet more balloons being slung out of the back of a lorry and the film then being played in reverse. It should look totally ludicrous. And, to be honest, it does look totally ludicrous, but the director’s giving it such a good go you stick with the story even while you’re laughing at it. It’s silly, it’s very dated, but it’s also fantastically imaginative – that could be The Tomorrow People‘s epitaph. At least the series finishes on something of a high, with a proper four-part episode which feels like a real shift in the format and tone: Earth gets caught in the crossfire between two warring alien empires, and the Tomorrow People rebel against the Federation, which has increasingly been presented as ineffectual and bureaucratic, for its refusal to get involved. The story doesn’t quite make best use of a good premise, and one does get a strong sense of it all being very much made post-Star Wars, but it could have been much worse. The Tomorrow People has, on balance, rather more misses than hits across its eight seasons – I remember my shock the first time I watched an episode and found myself thinking ‘This actually isn’t too bad!’ – but it’s an incredibly hard series to actually dislike. And it seems to be fondly remembered today as well – not just in the form of the American remake, which no doubt will prove glossy and credible but utterly charmless, but here in the UK as well. 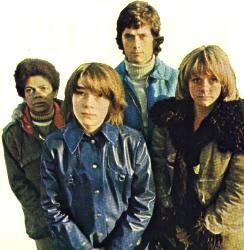 For what was The Sarah Jane Adventures but a loving homage to The Tomorrow People, set in Who-world? There is the sensible parent-figure, the secret base and the endearing computer, the same careful world-building, and stories of a style and tone almost indistinguishable from that of the older programme. Without The Tomorrow People I’m sure there would have been no Sarah Jane Adventures. To a modern viewer, The Tomorrow People is nowhere near as accomplished as Russell T Davies and Gareth Roberts’ careful pastiche, but it is every bit as much a classic in its own way. So, the final episodes of The Sarah Jane Adventures. It would, of course, be best of of all had these not been the final episodes at all, but that is of course not possible. Even so, it would surely have been better had there been some inkling, some forewarning of what was about to happen – because as things stand, this is not quite the ideal conclusion to a consistently strong series. At this point I shall have my usual tedious old whinge about Who-world metaphysics and plotting – basically, the story didn’t make it clear quite how the evil totem pole at the heart of the story was benefiting from putting a curse on Clyde’s name. How’s that supposed to work then? At least give me some technobabble to work with. And, beyond this, there was no explanation as to what the evil totem pole actually was. You can’t have a villain who’s just an evil totem pole in Who-world. You’ve got to come up with some sort of pseudo-scientific rationale, otherwise this is just a spooky fantasy show rather than the putative SF Who-world series are sort of required to pass themselves off as. But a strong outing nevertheless. And so to The Man Who Wasn’t There, which – as I’ve mentioned – is surely not the story the makers of the show would have chosen to conclude with, for all sorts of reasons. Not least amongst these is the uncomfortable fact that the story operates on one level as a satire of Steve Jobs and Apple – and, unintentional though it was, even appearing to make fun of celebrities who’ve died of cancer was a horrible misstep given the circumstances surrounding this particular run of SJA episodes. As I’ve said before, this is a series which was consistently good from its pilot episode to its foreshortened final series: for every story which dropped the ball somewhat (and there were a few – Lost in Time and Mona Lisa’s Revenge being two obvious examples, to my mind), there were a greater number of extremely high quality (quite apart from the big guest star episodes, there were very strong stories like The Temptation of Sarah Jane Smith and The Empty Planet). One has to wonder what the series’ legacy will be to Who-world in particular. 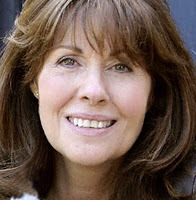 With Nicholas Courtney’s death being acknowledged in a moving scene in the last series of the parent show, can we expect a similar tribute to Lis Sladen? I’m not sure; only six months or so separated Courtney’s death from the broadcast of The Wedding of River Song, and I’m getting the strong sense that Season 33 of Doctor Who won’t begin broadcasting until Autumn of 2012, a full eighteen months after Lis Sladen’s passing. To do it in a timely manner or not at all would be my instinct. Were this the Rusty Era with the franchise (ugh) operating as a family of shows, I would half expect Clyde and Rani and everyone to pop up briefly at some future point, just to establish the direction their stories look set to take – but not as things currently stand. Still, fans and fanfic will find their own solutions, as always. In any case, time to say goodbye. The way in which the series concluded is, of course, terribly sad: but that shouldn’t detract from the marvellous fact that it existed at all in the first place, and achieved such great things in its time. Till we meet again, Sarah. I got a strong sense from Series Four’s season opener that… well, not that this show’s future doesn’t look rosy, but that everyone involved is aware that the format has a ticking clock built into it. Oh, Lis. Had we but known, all the things we would have said to you… Not to be. Not to be, of course. Nevertheless it’s impossible to watch this new series without it being a terribly bittersweet experience. I can’t recall, certainly in Who-world, this kind of situation occurring – a performance by a major actor first appearing after their death. It can’t help but cast a shadow. And it’s a particular shame because, on the strength of Sky, SJA appears to be on rock-solid form – funny in the right places, scary and thrilling in others. Given the youth of the target audience it doesn’t even matter that much that so much of the plot seemed a little – um – shall we say classic? And not just in the sense of it being classic SF, but in that many of the plot transitions and beats here had been used before in this very show – Christine Stephen-Daly’s panto turn as a malevolent alien matriarch having an awful lot in common with the one customarily given by Samantha Bond as Mrs Wormwood. Still, for a Phil Ford script it was pleasingly serious even if a lot of the backstory did not appear to be especially coherent (I look forward to hearing from chemists about the plausibility of boron-based life too). Even the recurrence of the more-than-a-bit-annoying man and his parrot from last year’s major dud of a story did not grate too greatly. What makes it particularly poignant is that the issue I was actually referring to twelve months ago – the ageing of the young cast members and its impact on the format – was obviously on the writers’ minds as well, with the series attempting another of its regular reformattings to address this. Having always found Luke to be the least engaging of the leads I had problem with seeing him supplanted by Sky. This is a show renewing itself with confidence and style and without compromising its values. Given the chance I suspect it could have run for many years to come, its format nearly as flexible as that of its parent. Except, of course, in one crucial aspect. Oh, Lis. If the complete history of Doctor Who is written – something which I sincerely doubt will ever happen – then the astonishing renaissance of the series’ fortunes in the middle 2000s will surely receive much attention. The programme went from being an ex-TV series (albeit one with a strong grasp on the public’s affection), continuing in at least three different media (each the subject of its own fierce cult following), to something vibrant and focussed and vastly successful in the mainstream. And this seemed to happen virtually overnight. While some commentators at the time praised Russell T Davies for his bold new 21st Century take on the series, as time has gone by it’s become clear that Davies’s real genius was not how much he changed but how much he didn’t. Davies’s prominent inclusion of minority sexual politics and incorporation of a wider supporting cast (the ‘soap opera’ element which is so widely reviled) are relatively small potatoes compared to the fact that the revived programme basically has the same format, the same values, and takes place in the same continuity as the original. Tellingly, it’s the series of the Seventies that the makers of the most recent seasons seem to have taken as their template – and an era which, incidentally, was unafraid to include surprising political themes of its own, and had a larger regular cast than at any other time in the original run. When 21st century Who pays a homage to the old show, it’s most commonly to an episode first broadcast in the Seventies. However, in one area the revived programme is strikingly different from the pattern that had evolved in the original series by that point. As I’ve argued in the earlier parts of this series, by the Seventies the stories Doctor Who told revolved around villainous antagonists, with monsters a key but secondary feature of the programme. One thing you can’t say about the Russell T Davies years is that they are particularly abundant in villains. Instead there are many stories where the antagonists are basically just monsters – sometimes with a spokesperson, such as the Gelth, or with basic personalities of their own, such as the Slitheen. The BBC stipulated that the new series contain as many monsters as possible, but it seems they had no such requirements in terms of villainous characters. There are still villains, but in smaller numbers than for years. Davies has spoken of his uneasiness when it comes to the inclusion of out-and-out, wholly malevolent villains in his scripts, feeling it to be simplistic and unsatisfying to a modern audience. When villains do appear, the story is careful to give them a plausible motivation – usually financial, in the case of the Eccleston season’s bad guys. Particularly interesting in this context is the episode Boom Town, which (in addition to being cheap to make) exists solely to explore the motivation of a pre-existing villain and the ethics of the Doctor’s relationship with her. 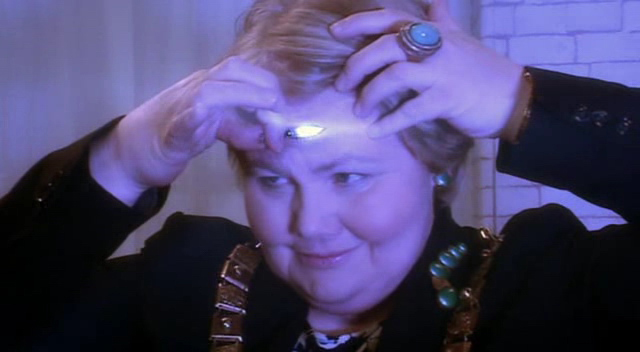 In the end Margaret Slitheen never quite gains the audience’s sympathy, and the episode is more about the light it sheds on the Doctor’s character (he’s unequivocally in favour of the death penalty, which I personally find startling), but it’s still a thoughtful piece almost inconceivable in the original run of the show. As the crowd shrieked, Margaret Slitheen proceeded to take it all off. Given this relative paucity of villains, there’s a new trend towards a type of story where the circumstance in which the Doctor finds himself is an antagonist of sorts (said circumstance usually involving some kind of monster, admittedly). 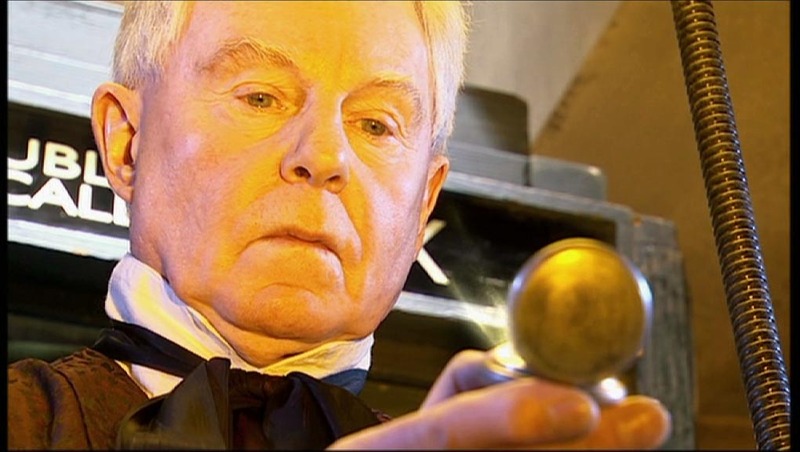 Thus the nature of time is largely responsible for the (somewhat incomprehensible) predicament central to Father’s Day, while technology running out of control causes the problems of The Empty Child/The Doctor Dances and The Girl in the Fireplace. 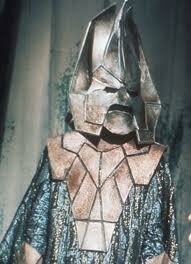 As the series goes on more traditional villains do start to appear more regularly, some more successful than others. Mr Finch is arguably the revived show’s first power-hungry megalomaniac, but his success is mostly a matter of performance, not writing. From the same season, Lumic is basically just a karaoke version of a certain rather better known wheelchair-bound creator. Later on, though, the Doctor has such effective foils as Professor Lazarus and Son-of-Mine (even if Lazarus spends much of his time as a CGI scorpion and Son-of-Mine likes to keep his family around him). One key element of the new series, which manages to be essentially new and wholly backward-looking at the same time – a neat trick – is its attitude to recurring monsters. It’s interesting to jump a time-track and consider how the new series would have developed had the BBC been unable to secure the use of the Daleks, as seemed likely until mid-2004. Davies has already admitted that in this event the Eccleston series would probably have concluded with Cybermen besieging the Game Station, but beyond the issue of individual stories, there is the fact that the return of a different classic enemy was a core element of all the seasons the writer oversaw. This is possibly a result of the way each season is now conceived, with an overall plot building to a dramatic finale. Every such finale to date has featured a returning opponent – on four occasions out of five, the Daleks have been central – and it’s starting to look as if, in the case of the really big name monsters, they are being used not as a shorthand for evil but as a shorthand for significance. When the Master makes his inevitable return it is very much in line with the way the character was presented in other media in the missing years – most obviously in the way Davies attempts to give him at least some kind of coherent motivation. Prior attempts had varied from the dubiously personal – embittered, after the Doctor mucked up one of his experiments (Flashback, in DWM) – to the somewhat clichéd – corrupted by his own desire for power, that he might do more to improve the universe (The Dark Path novel) – to the broodingly cosmic – the youthful Master was betrayed by the youthful Doctor and forced to become a disciple of Death incarnate (the Big Finish audio Master) – possibly that should be ‘broodingly cosmic and slightly convoluted’. As usual, Davies opts to paint with a broad brush and has the Master as a general-purpose nutter, driven insane by his exposure to the Time Vortex as a boy. Fan metaphysicists can have a lot of fun trying to work out, given that ‘the drums’ plaguing the character were retroactively placed there via time travel at a point quite late in his life, whether this origin still holds true for the character in the older stories. It’s a moot point, anyway. I would argue that the success of the character upon his initial return is at least as much due to the performers involved as to the script – while Utopia is one of the best episodes the revived series has produced, and The Sound of Drums has its moments, Last of the Time Lords is a bit creaky in all sorts of places. Davies makes up for all this when he revives the character in The End of Time – I would argue that the presentation of the Master here is the most satisfying element of the story, as the character has a depth and presence almost never previously seen. The climactic sequence of the Doctor and the Master, each unable to see the other be killed, uniting to repel the Time Lords is a summation of both characters and their relationship that has seldom been equalled at any point in the series. Beyond the big names, the revived series has also shown a willingness to revive other successful monsters – and even unsuccessful ones on occasion. Davies has said that the decision to launch the series with the Autons was based solely on their appropriateness for that particular story, but – in addition to increasing the sense of the series returning to its Seventies roots – it also reaffirms the programme’s commitment to its history. The return of the Macra smacks of ‘oh well, why not?’ Return visits by the Ood and Cassandra are in the classic tradition of successful opponents making a swift reappearance (although the Ood are rapidly building up an impressive list of appearances which shows no sign of stopping). 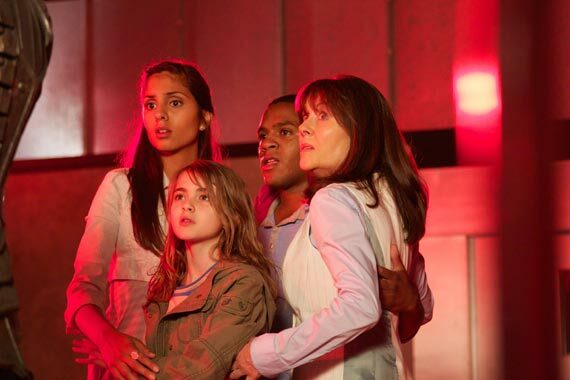 The presence of the revived show’s spin-offs presents some odd new avenues for monsters to recur in: the Cyberwoman episode of Torchwood isn’t quite as much fun as it sounds, while the Slitheen have carved out a rather successful niche for themselves as the ‘house monsters’ on The Sarah Jane Adventures. (Other aliens have crossed over between Torchwood and SJA without appearing in the parent show.) What we’ve yet to see is a classic series enemy returning directly to one of the spin-offs, though we’ve come close: the Trickster – a regular villain on SJA, and mentioned in Turn Left – is suspiciously similar in agenda and dialogue to the Black Guardian, while Mandragora was all set to return directly to SJA until the script demanded too many divergences from the original concept. This is a little disappointing for old-school fans, but at least it proves that the programme-makers are putting the stories first, rather than simply wheeling out old enemies for nostalgia value (the recent episode The Lodger was for some time going to be a sequel to Meglos). New show-runner Steven Moffat has always been ambivalent at best when it comes to discussing the return of old enemies, mainly due to the fact this usually involved revisiting old ground. That said, the most recent season has stuck quite closely to the formula established by the Davies era, with an overarching narrative and returns from classic enemies and successful recent creations. (It’s exceedingly doubtful that things will continue in this vein: the first season after a major change of personnel has never been very indicative of what will follow.) Moffat continues to be a little villain-averse: The Beast Below revolves around a basic misunderstanding between human and alien, and while The Pandorica Opens presents a pleasing panoply of old enemies working in concert, all but the Daleks are banished from the concluding episode of the story. Interestingly, the latest revamps of both the Daleks and the Silurians have been unpopular, both being a little too iconoclastic for the tastes of many fans. And while the Silurian two-parter is virtually a smaller-scale remake of the original story, Victory of the Daleks really just appears to be an exercise in housekeeping, rebooting the Daleks back to being a ubiquitous and ongoing menace as they were in the mid-Seventies. 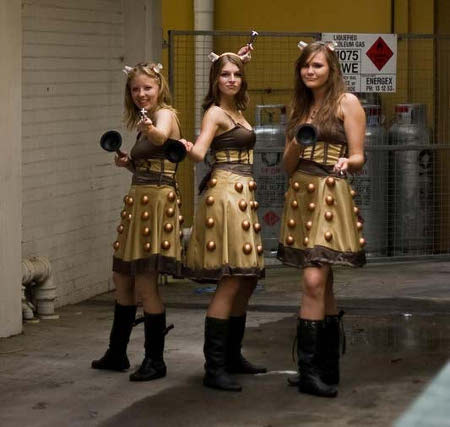 The production team were infuriated when yet another Dalek redesign proved unpopular. One shouldn’t get too hung up on things like this, as it seems likely that reappearances by classic foes will continue to be part of the fabric of the series, just as the kind of stories the series tells are utterly dependent on monsters and villains to work. New enemies and old are part of the grammar of the series – in a very real sense they are necessary evils. And now, fun for all the family as we take a look at Satanism in popular culture. I must give credit where it’s due and say that this particular rehash of old ideas is a response to the latest post from my friend Jamie, whose series of blog posts on the connections she sees between her faith and her favourite TV show are unfailingly thoughtful and interesting. I’ve frequently alluded to the fact that one member of my immediate family stopped watching Doctor Who a few years ago on the grounds of its so-called occult content. As I’ve always said, typical Doctor Who is about as genuinely occult as a typical episode of Scooby Doo – but the show has incorporated occult-themed imagery into a number of stories through most of its history, just as it’s taken visual and narrative cues from any number of sources over the years. The first thing one has to say is that it is, on the face of it, extraordinary that a popular family drama on a mainstream channel should make open use of Satanic themes. Some may argue that this simply reflects the decline of moral standards in British culture, but the fact is that in recent years the show’s become rather more careful, on the whole, when incorporating this kind of material. Join me now as we take a brief tour of Doctor Who‘s gallery of Satan lookalikes and wannabes. Before we begin, I should mention that none of these come from the series’ black and white days, when it was really a very different animal and presented antagonists in quite a different way. The early and mid 80s also finds Devil-a-likes thin on the ground, possibly due to the show going a bit more hard SF-ish at that point. Here they are in order of, er, Satan-ism. Counting down, in at number (of the beast) 6 is Sutekh the Destroyer, from 1975’s Pyramids of Mars, created by Robert Holmes, Paddy Russell and Gabriel Woolf. Sutekh hails from the planet Phaester Osiris and came to Earth where he was immortalised as the Egyptian god of chaos. Sutekh’s agenda is the obliteration of all other life, motivated by some kind of paranoid psychosis. Despite being arguably one of the most memorable and certainly the most powerful opponent the Doctor has ever faced, he comes in rather low on our list. This is really because he’s a figure from Egyptian rather than Judeo-Christian mythology, with his Devilish credentials essentially limited to the fact that the Doctor in passing refers to the fact he also goes by the name of Satan. This doesn’t stop him being the main villain in one of the greatest Doctor Who stories ever told, and he has cast a justifiably long shadow as we’ll soon see. At number 4 we have the only genuine demon on our list, the Destroyer from 1989’s Battlefield, created by Ben Aaronovitch, Michael Kerrigan and Marek Anton. This is one of the tiny number of Doctor Who stories to feature supernatural elements without any attempt to give them an SF rationale. The main villain of this story is another dimension’s analogue of Morgan le Fay (the whole story is rather Arthurian in tone), and to back her up in the climax she summons the Destroyer, who certainly seems to be exactly what he appears to be: he claims to be from Hell, can be repelled by magic circles, and is vulnerable to silver bullets. The fact remains that he’s repeatedly referred to as a demon rather than the Devil, and he’s basically an uber-henchman, otherwise he’d be higher up the list. Crashing in at number 3 we find the Black Guardian, portrayed by Valentine Dyall, and first appearing on-screen in 1979’s The Armageddon Factor, written by Bob Baker and Dave Martin and directed by Michael Hayes. 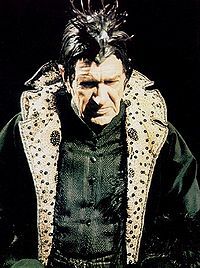 He earns his spot by being, to date, the ultimate force for darkness and chaos in the Doctor’s universe. His counterpart, the White Guardian, is essentially presented as being God (he’s the only being the Doctor is unquestioningly deferent towards), which makes the Black Guardian’s identity fairly self-evident. More specifically he is presented as the great tempter, set on corrupting the soul of the Doctor’s untrustworthy associate Turlough (and get a little revenge along the way). He never actually does much, but he’s memorable when he does appear. Many of the attributes of the character, along with some actual lines of his dialogue, live on nowadays in the form of the Trickster from SJA (I initially thought the Trickster actually was the Black Guardian until his ignorance of the Doctor became clear). The revived series finally presents a candidate at number 2, in the form of the Beast from The Satan Pit, created by Matt Jones, James Strong and Gabriel Woolf. 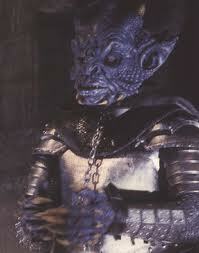 Uniquely, the Beast claims to actually be the Devil of myth, and predate the universe, which the Doctor is automatically reluctant to go with. But he’s certainly a wily customer, even if he never quite explains how his son ended up wedged into a time rift in Cardiff (in the Torchwood episode End of Days). Stepping back from the narrative for a moment, it’s clear that the Beast is a new riff on a number of characters from the original run. 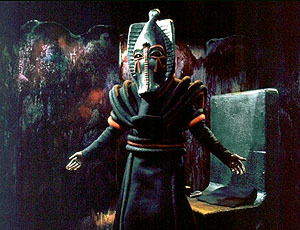 Chief amongst these is Sutekh, a previous example of an imprisoned superfiend – the conscious nature of this connection is made obvious by the decision to cast the same actor in both roles. Also referred to are the legends of the home planet of the character who stands at number 1 as the all-around most Satanic figure in the entirety of Doctor Who. Yes, it’s Azal from 1971’s The Daemons. Just look at the guy. He’s not actually a demon, but a native of the planet Daemos. Despite this, his name is derived from that of the mythological figure Azazel (the Jewish analogue of Satan), and the story makes clear he’s a key figure in occult texts from many human cultures. The story draws massively on Satanist imagery, with the Master leading a Black Mass in a church crypt to summon up the creature (clearly a key moment for the Master as he recalls it when his Yana identity crumbles in Utopia). Interestingly, Azal isn’t actually evil, just utterly amoral, and is as happy to give his power to the Doctor as the Master. In some ways it’s an odd choice to build a character up as the Devil and then not make him wholly malevolent, but it’s a sign of the moral sophistication Barry Letts in particularly brought to the series. That said, all of the figures on our list are the result of different and interesting creative choices on the part of the production teams responsible. Fantasy series like Doctor Who do tend to deal with themes like good and evil rather more directly than others, so it’s not really surprising that the programme-makers should have felt the need to create an incarnation of pure evil on more than one occasion. The differences between their conceptions are quite illuminating when it comes to their ambitions for the series. For example, Sutekh is just the most memorable iteration of what’s basically a stock character in Tom Baker’s first three series: the crippled supervillain seeking a return to his former power – other examples include Morbius, Magnus Greel and the Master himself. The Beast, on the other hand, is there to embody the story’s theme of the unknown and the (possibly) unknowable, and how an arch-rationalist like the Doctor deals with a possibly-supernatural creature. Azal represents not pure evil, but the dangers of power without responsibility or compassion. It’s clear, I hope, that when the programme has used the Devil as the model for a story’s antagonist it hasn’t been done gratuitously or thoughtlessly, but to suit whatever story they were trying to tell, and as a part of the series’ wider presentation of evil in general. (But that’s a wider topic, for another time (perhaps).) The thought that’s obviously gone into most of these characters perhaps explains why the stories in which they appear include some of the most memorable the series has produced. I’ve been putting off writing about the end of this year’s SJA, quite simply because… well, I would love to be able to sing its praises the way I did a few earlier installments. There is even a certain dark pleasure I derive from giving a complete slating, though when we’re talking about something from Who-world I am almost always writing more in sorrow than in anger. 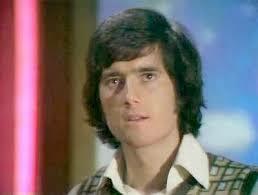 And the main thing about Goodbye, Sarah Jane Smith was that it wasn’t brilliant, nor was it abysmal. It was all simply very blah. Not in a bad way, and this was in many ways far from the worst SJA we’ve seen this year (coherent in a way Lost in Time absolutely wasn’t, and with a hard dramatic edge wholly lacking from Vault of Secrets), but given it was the last show of the run – the ‘season finale’, and heavily promoted as such – it wasn’t really anything special. The only thing that surprised me about it was the fact that the Trickster didn’t turn out to be the bad guy. Even had we not known that a fifth series was already on the way, I doubt anyone would have believed that the new, same-but-younger version of Sarah who puts in an appearance here was everything she claimed to be. The material with the ailing original Sarah was affecting, but then that’s why you hire Lis Sladen… but I couldn’t help feeling that my emotions were being very crudely manipulated, and that always turns me against a story. So everyone came back to do their bit and save the day (obviously I was more pleased to see the dog again than Tommy Knight, but it’s an age thing), which duly happened with just enough time left for a heart-warming coda about all the usual themes of friendship and how wonderful life is. The specifics of the story were cleverly done, but the broader beats of it were rather predictable. One has to say that this particular run of SJA started more strongly than it finished. Having said that, when it was good, it was very, very good, with the two middle stories being particularly strong. The slight change in format has paid off, as well – though I still lament the absence of the dog (legal issues mean it can’t be any other way, I suppose), three leads rather than four does make for some slicker and cleaner storytelling, and all the leads can still do the business. If this series has been made on a lower budget, it isn’t really obvious, and it shows no real signs of running out of ideas, either. 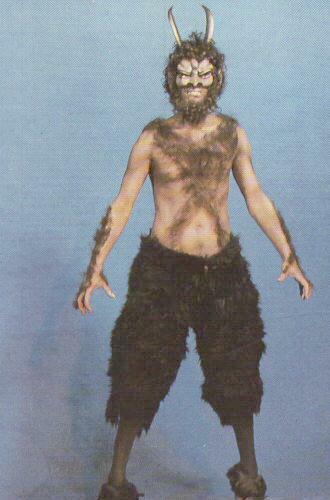 No reason not to look forward to series five, then – though any chance of the Trickster next year, guys? Three-way bad day for S.J., I say. It is with a somewhat heavy heart that I have to report that, for the second year in a row, the fifth-story slot in the current season of SJA has been reserved for a crappun. (Crappun is a technical critic-type word used to refer to something which is, erm, a crap one.) Seasoned masochists may recall that I was not especially kind about The Vault of Secrets, earlier in the run, on the grounds that it was a bit too kids’ TV-ish. I am going to be very unkind about Lost in Time, not because it looks like kid’s TV, but because it genuinely is Bad TV. Before we really put the boot in, I will try to soften the blow by saying it was fairly well directed and there were very agreeable guest performances from Amber Beattie, Tom Wlaschiha, and Gwyneth Keyworth. The regulars did their usual sterling stuff as well. But, oh dear me, the plot… Or should I say the plot devices, which were basically what we had instead. A mysterious unexplained character with magical powers (Cyril Nri), who spent a lot of time talking to a parrot to disguise the fact he was just delivering exposition when he was alone in a scene, lured the gang to his shop so he could pack them off in search of three plot coupons which apparently had the potential to upset Earth’s history. This allowed them to participate in low-budget pastiches of The Others, Went The Day Well? (or The Eagle Has Landed, depending on your taste), and a non-descript costume drama. None of these were actually bad – although the Lady Jane Grey one peaked about halfway through and basically fizzled out in the second episode – but they did have to play out from beginning to end in the space of about fifteen minutes each and all seemed rather underdeveloped as a result. (The climax of Lis Sladen’s subplot even had the temerity to rip off Blink, which is surely a liberty too far.) The main problem for me was that the frame of the whole story just seemed slapped together – who was the guy packing them off on their travels? How exactly did the plot coupons wind up lodged in Earth’s history? Were the coupons connected to each other beyond being made of the same stuff? Why did they have to be retrieved from the present day at this particular time? There were numerous attempts to ramp up the suspense level through the invention of arbitrary rules regarding the magic time-travelling powers of Nri’s character, but I don’t think even the youngest and dewiest-eyed viewers will have been particularly impressed. On the other hand, this story really does settle the dating issue for SJA, not that there was really much doubt left: the newspaper clipping Sarah was carrying was dated November the 23rd (cute) 2010. The series is now set in the year it’s broadcast, much as the parent show is – the present day for the show is the same as it is for the audience. Well, if the continuity doesn’t hang together, then neither does the plot of Lost in Time. The former doesn’t really matter – trying to come up with horribly convoluted fixes for this kind of problem is part of the fun of being a fan. The latter does matter, because stories and storytelling are the bricks and mortar of this show and all the others. SJA is usually really good. But this wasn’t.